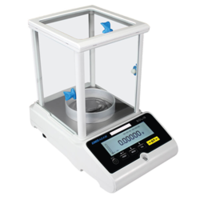 Adam’s Lab Weighing instruments include Equinox and Solis series with capacities of 8,200 g and readabilities of 0.01mg, 0.1mg, 1mg and 0.01g. The Equinox units come with a 5 in. screen with a resolution of 800 x 480 pixel and feature a 3,000-item database. The Solis series models are available in dual-range and semi-micro models and offer capacities of 120g and 220g respectively. The solis models are suitable for use in research and quality assurance labs, science education, precision counting and production and manufacturing applications. OXFORD, CONN. (PRWEB) SEPTEMBER 21, 2018 - Adam Equipment, a leading provider of professional balances worldwide, will exhibit a selection of lab balances, scales and accessories at booth #99 during DICLAB 2018 from Sept. 26-27 at the World Trade Center of Mexico City. At the show, Adam will present two of its newest lab balance lines — Equinox and Solis semi-micro, analytical and precision balances. Both balances bring valuable features to labs that perform highly detailed testing. Delivering superb precision, Equinox is our most advanced line of balances to date. The Equinox features capacities up to 8,200g and readabilities of 0.01mg, 0.1mg, 1mg and 0.01g. A unique offering in the Equinox range is models with 410g and 510g capacities and a readability of 0.1mg, providing an exceptional value of high capacity and analytical readability. The color touchscreen display provides intuitive operation, with icon-driven menus and readily accessible applications and functions. The five-inch screen offers 800X480 pixel resolution for excellent visibility. Customize the display by choosing one of five color presets for the buttons, or by selecting black or white for the display background. We designed the Equinox with a 3,000-item database that allows you to store and recall ingredients, sample weights and checkweighing limits. The formulation and recipe function allows you to either recall a stored formulation from the database or manually add items and track the ingredients of each item. Results can be saved to a USB drive or transmitted to a printer. With a high-resolution graphic display and intuitive features, the Solis is an outstanding choice for complex lab weighing tasks. Solis is ideal for use in research and quality assurance labs; science education; precision counting; and production and manufacturing applications. Available in a wide selection of models, the Solis series offers capacities up to 8,200g and readabilities of 0.01mg, 0.1mg, 1mg and 0.01g. Dual-range, semi-micro models boast capacities of 120g and 220g and readabilities of .01mg in the fine range. Data is readily visible on the amply sized graphic display, while multilingual capability facilitates use in various regions. Quickly check for overloads on the capacity tracker located prominently on the left side of the display. The Solis keypad features easy-to-read buttons and helpful navigation arrows. Adam products are popular in a variety of labs including product research and development, food testing, forensic analysis, and pharmaceutical production. During the show, Adam also will spotlight analytical and precision balances, top-loading balances, moisture analyzers, plus an anti-vibration table and other accessories. To make an appointment to meet with Adam representatives at DICLAB, email us at sales(at)adamequipment.com. For more than 45 years, Adam Equipment has designed and manufactured precision balances and scales for professionals worldwide in the laboratory, health and fitness, education, industrial, food, animal/veterinary and jewelry markets. Adam is committed to offering an extensive selection of weighing equipment with best-in-class value. Headquartered in the United Kingdom, the company has strategically established offices in the United States, South Africa, Australia, China and Germany to provide product support and speedy delivery to distributors. For more information about the company and its products, go to http://www.adamequipment.com.